ARIZONA: Martha McSally Wins GOP Senate Primary - Joe.My.God. Rep. Martha McSally has defeated Kelli Ward and former Sheriff Joe Arpaio in the Arizona Republican Senate primary on Tuesday night, NBC News projects. 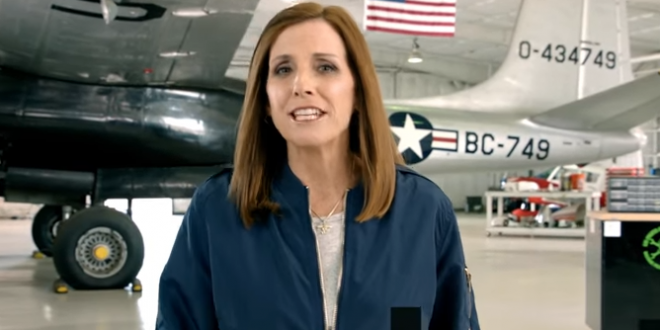 McSally, a former fighter pilot, had been favored to prevail over the two conservatives who have split the anti-establishment vote. But McSally tacked far to the right in the primary, which could cause problems for her in what is expected to be a tough race against Democrat Kyrsten Sinema in November. Ward lost a nasty primary against McCain in 2016, and returned this year to challenge Sen. Jeff Flake, R-Ariz. But when he decided not to run for reelection, and Arpaio got in, Ward had a tougher time consolidating the pro-Trump conservative vote. In the final days of her campaign, she launched a bus tour with Pizzagate conspiracy theorist Mike Cernovich, and wondered aloud on Facebook if McCain’s family timed their decision to make the senator off medication in order to overshadow her campaign. Hey @RealSheriffJoe and @kelliwardaz, how did @VP know the results of your primary before the polls closed?